aSeng's ĐĘĄTĦ ŅΦTĘ: My New Target ?? 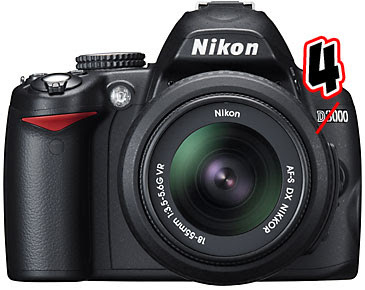 Nine months after giving birth to the first bits of news about the D300s and the D3000, Nikon is once again churning the rumor mill with the "forthcoming" release of 3 new DSLRs.Nikonrumors speculates that "one of them will be an entry-level model (probably D4000)" This rumored camera will be falling in between the Nikon D3000 and D5000 models in terms of features/specifications, and will replace the barely 1-year-old D3000. No specs or pricing info were disclosed. [url=http://www.vuittonhandbags2u.com/#louisvuittonhandbags]louis vuitton handbags[/url], Everyone loves a lot of these louis vuitton! so that attractive, attractive . plus every person provides a majority of these! wholly advise using consumers! Any [url=http://shoplouisvuitton127.webeden.co.uk]shop louis vuitton[/url] are quite heavy on my small base. I personally excursion a whole lot within them. Produce a paws search enormous we presently have sizeable paws as it is often. I'm going to more than likely provide louis vuitton.